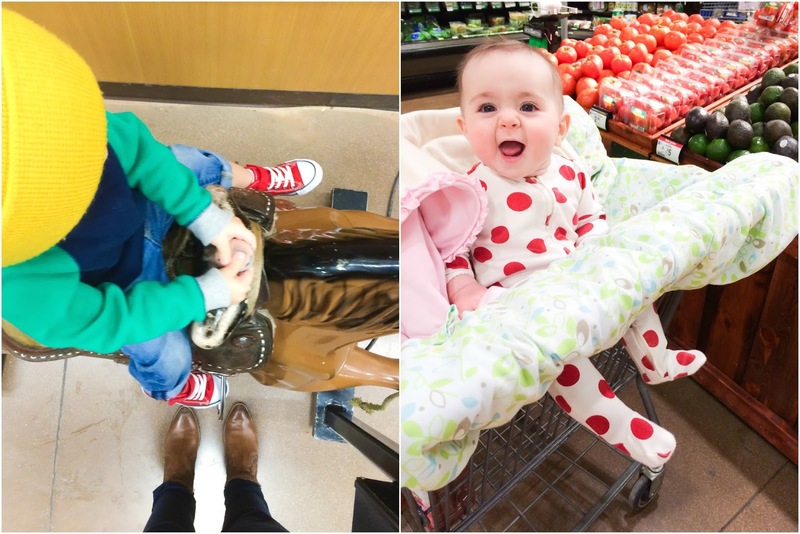 this post should really be called, "Abel Takes King Soopers"
If you read my blog a million years ago, then you might remember that we LOVE grocery shopping. It really is one of our favorite activities to do as a couple, and now as a family. 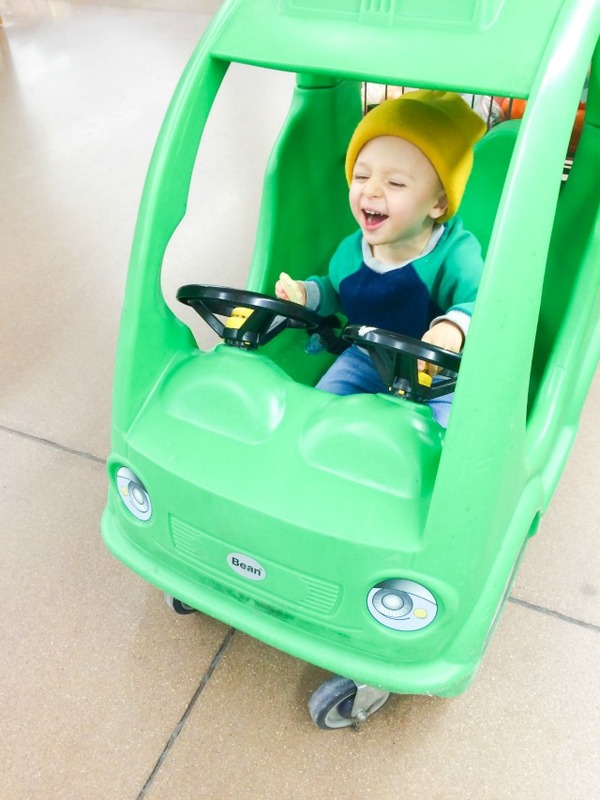 The older Abel gets, the more chaotic it is for sure, there is riding in the car on front of the cart (part time), the cart (rarely), holding hands (for two seconds) and simply running free + us chasing him down (the other 50% of the time). We know that one day, probably not far in the future, when we hopefully have a boat load of kids, that grocery shopping as an entire family might not be our best idea, but we are all in for now + trying to stretch it out as long as we can. Call me crazy, but it's quality time for us. i love my little family, and am so thankful for chris' calm + collected nature! it balances out my easily overwhelmed + nervous sweat-er tendencies + allows us to still go on family grocery outings for the time being! he managed to dodge every picture on this trip, but he truly is my rock. i'd also like to make mention of the penny horse riding... up until the past two visits, this resulted in shrieking and terror from abel, and after three times of feeling like i scarred him for life trying it out, i called it good. he suddenly sees it in a new light + wants to ride it every time, multiple times. cheers for all those unwanted pennies being put to good use! ^^^look at who has started riding shotgun! she's pretty over the moon about it, and i'm happy to leave that 20 ton carseat in the car where it belongs!